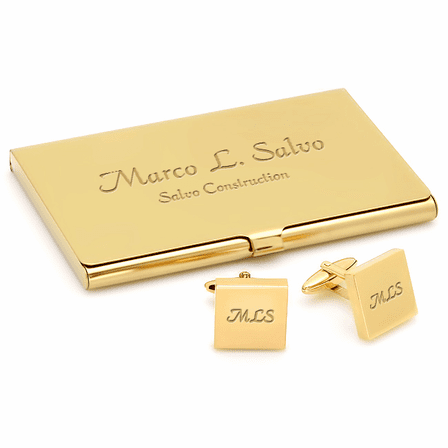 Business card holder dimensions: 3 5/8" x2 3/8"
Cufflinks Dimensions: 3/4" x 3/4"
What is the metal under the polished gold? Would this gold color fade in time? The metal under the gold plating is stainless steel. The color should definitely not fade over time. 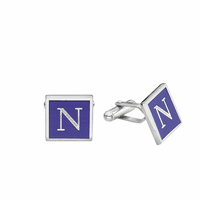 If, however, it does, we would send a replacement as this gift set has a lifetime guarantee. I was looking for the perfect gift for my fianc?. I found this and I am absolutely thrilled with it! 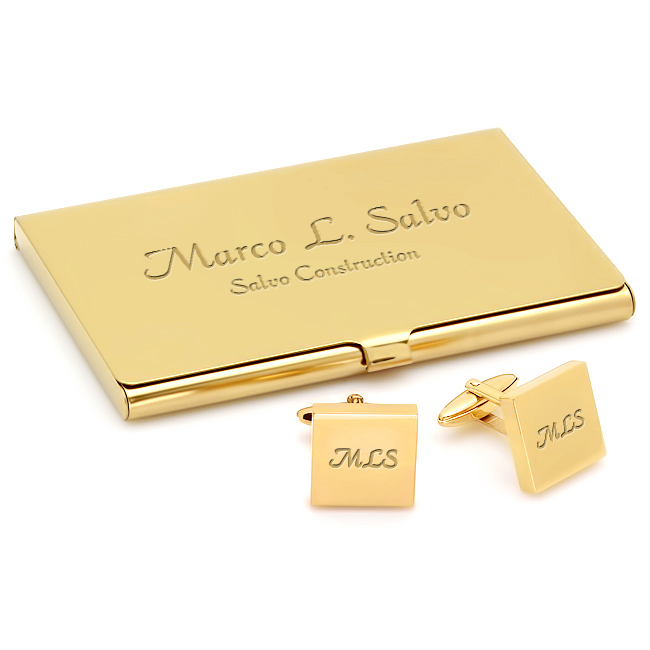 The card case and cufflinks are beautify, the engraving is perfect and I received it in 3 days. What more can I say! was a bit skeptical at first but im glad i ordered from these guys. 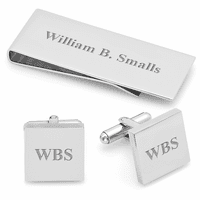 quality is outstanding, items are beautifully polished and the engraving adds just the perfect touch of class and elegance. 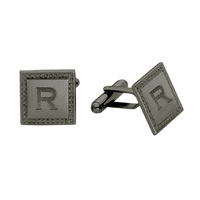 A true gentleman's must have. I bought the item as a gift for my husband. He was very happy with the set and the engraving. Will return.